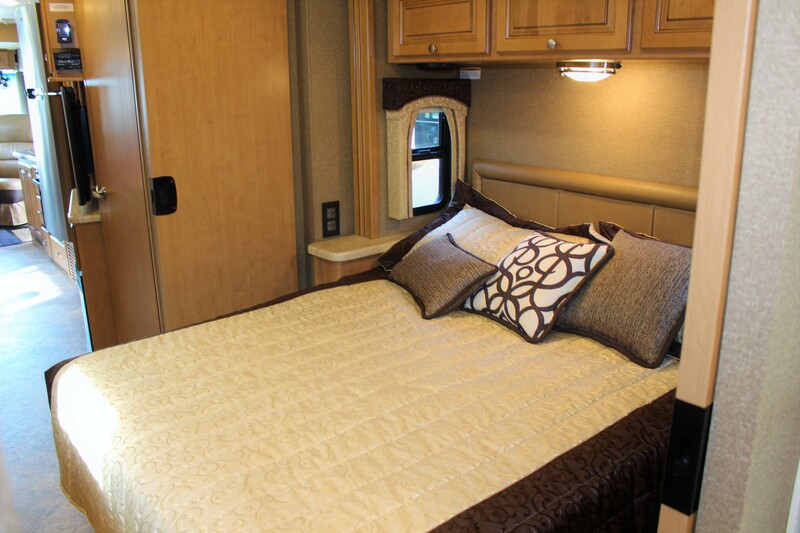 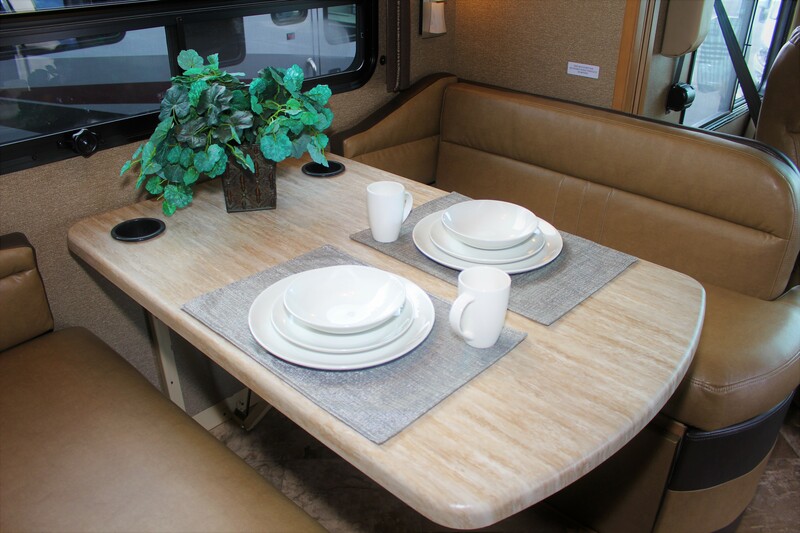 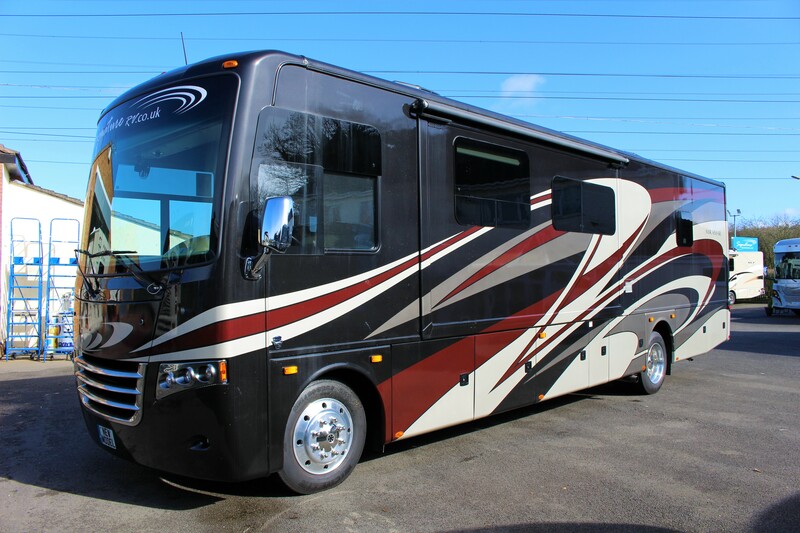 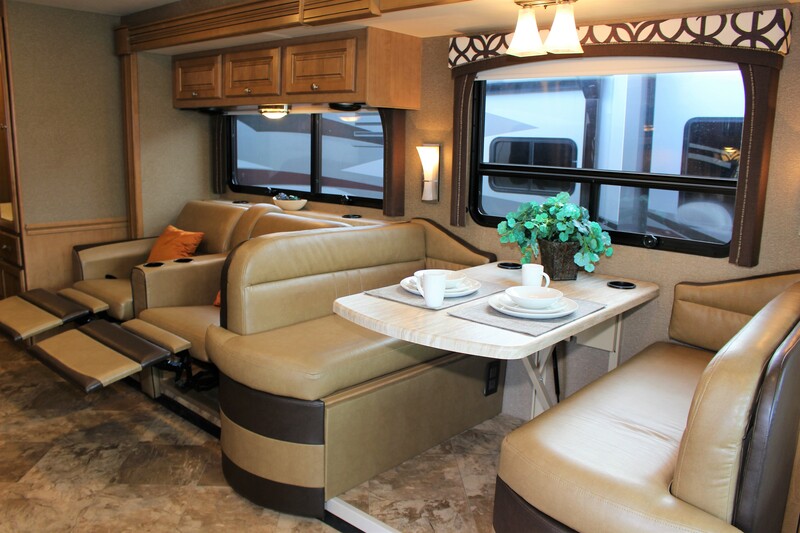 Brand new for the 2018 season Thor Miramar American Coach provides both a luxurious interior combined with exceptional living space provided by large slide outs to both the lounge and rear bedroom. 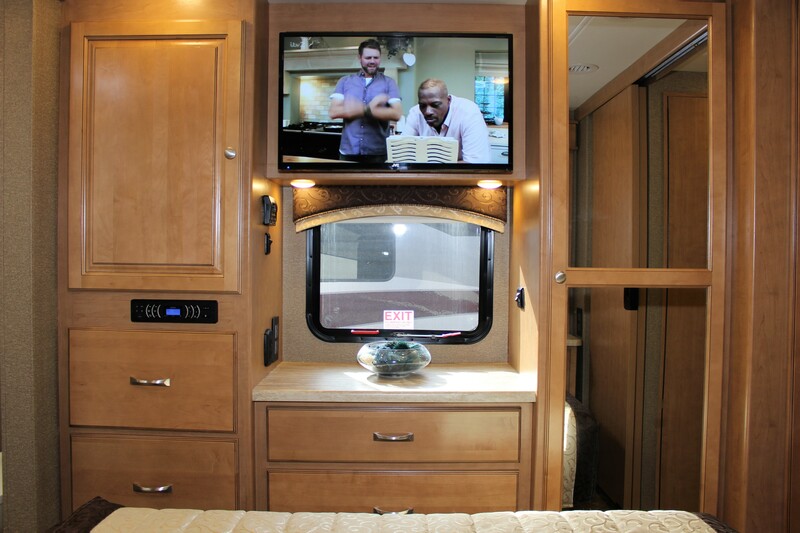 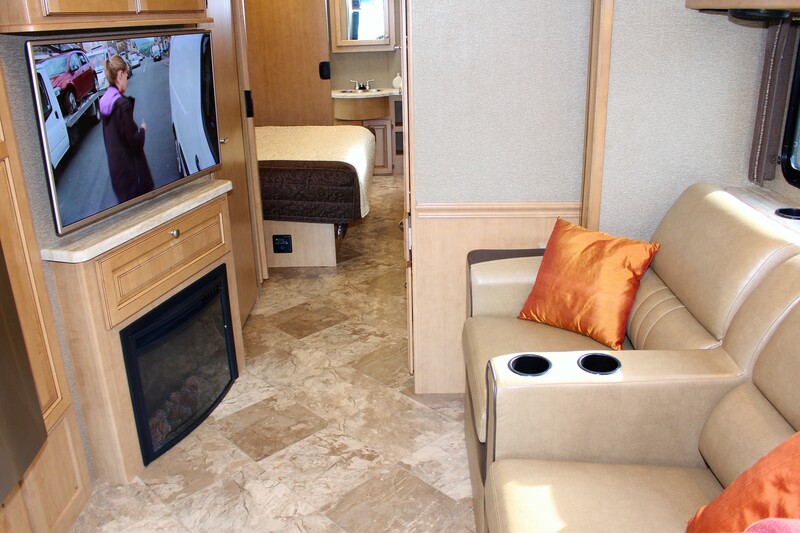 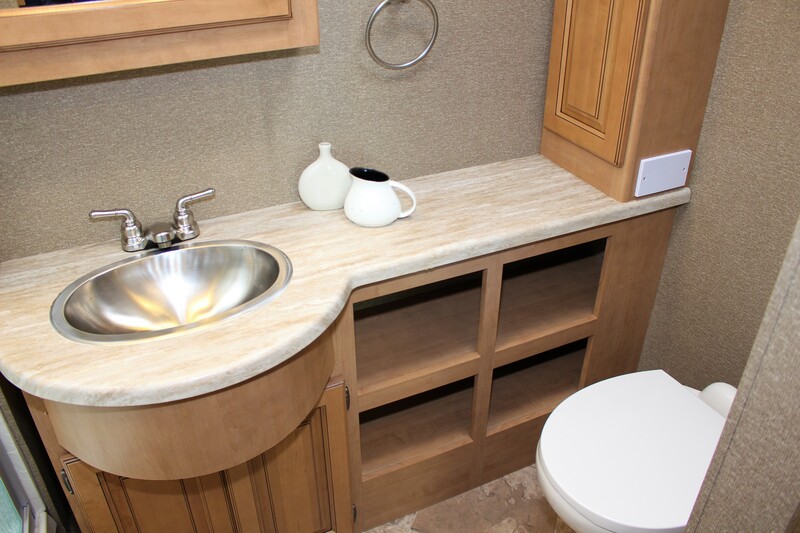 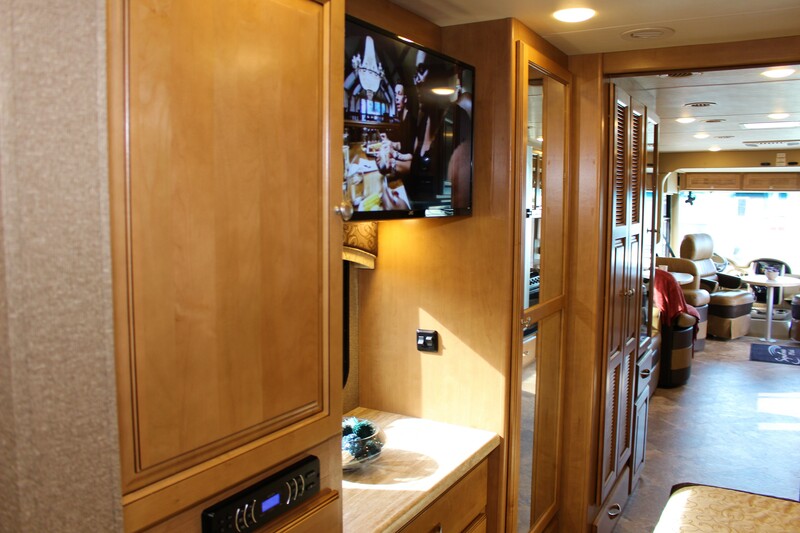 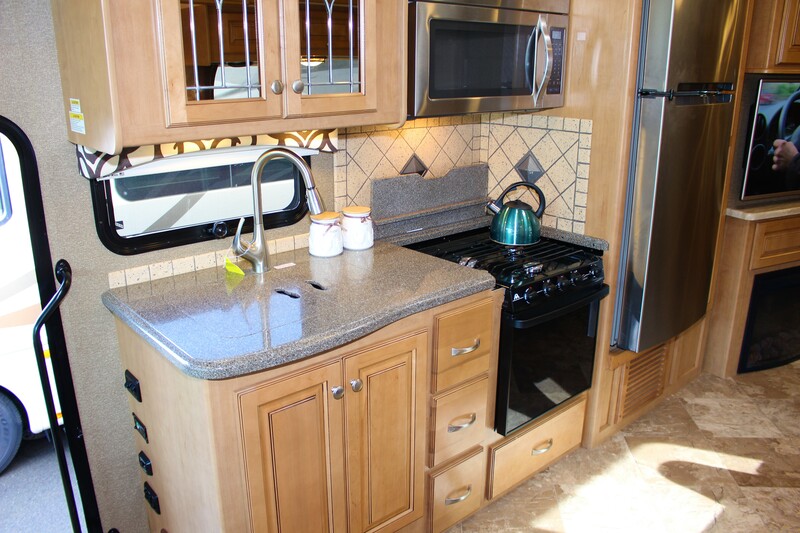 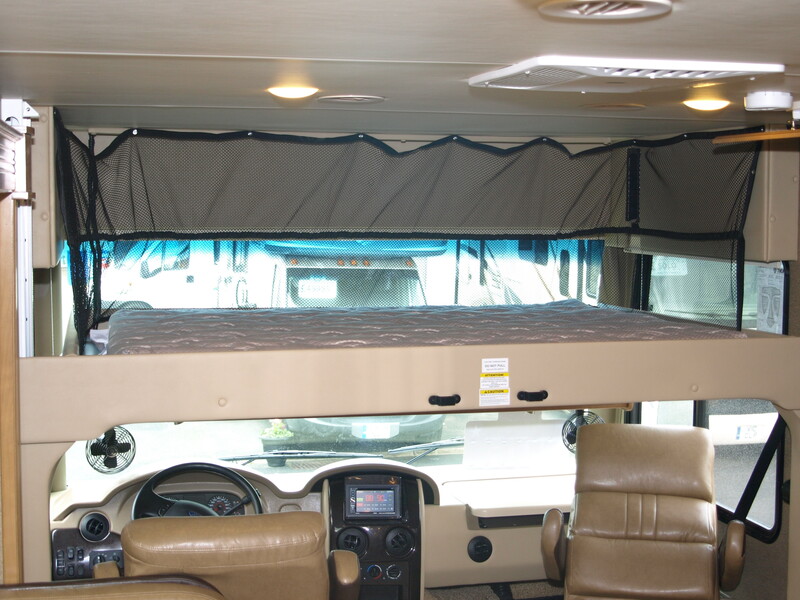 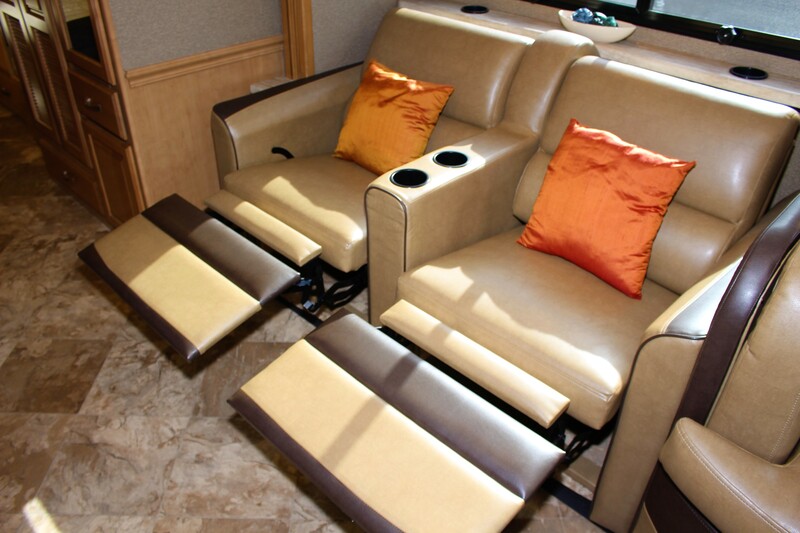 This RV has the outside TV entertainment package! 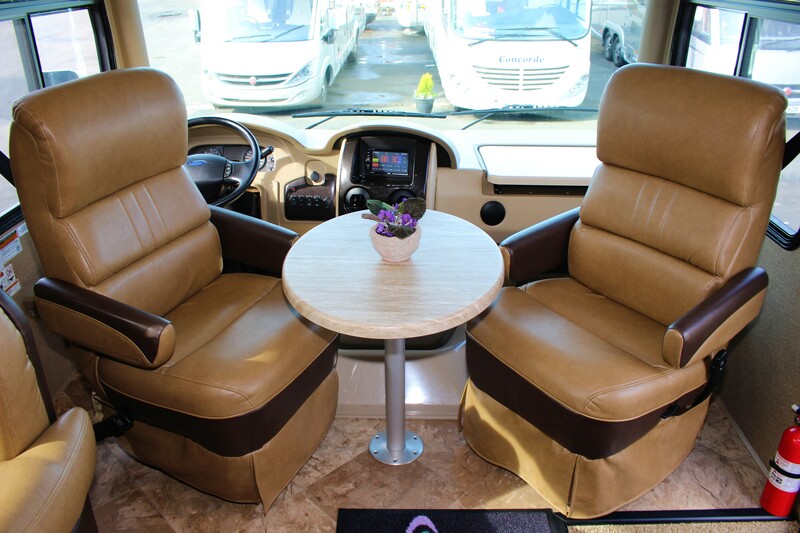 The plush interior comprises of pure wool carpeting to bedroom and all seating areas throughout, complemented by luxury leather upholstery to all seating. 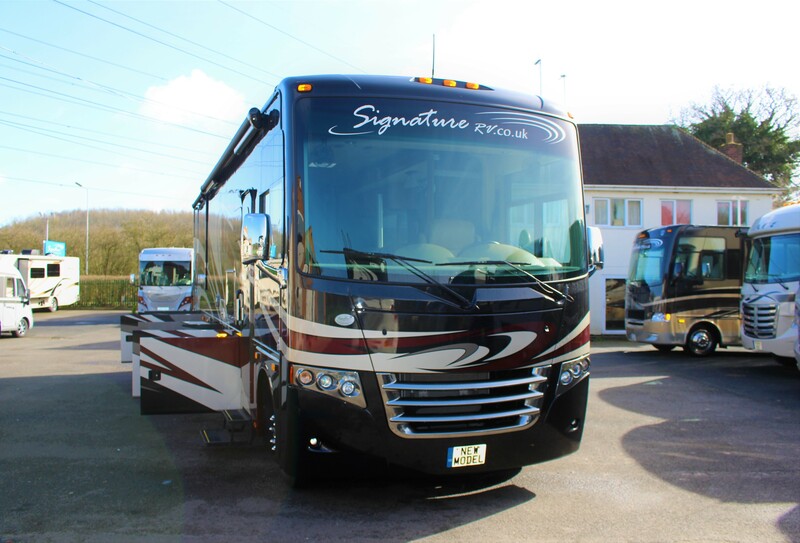 The facilities are of the usual refinements you would expect in a coach of this class including: Hydraulic levelling system, 5.5 KVA onboard push button start generator, Central heating, Microwave/Convection oven, separate gas hob & oven, full sized shower, separate w/c with wash hand basin, 4 seater dinette area, soft mood lighting, full size american fridge freezer, twin sinks in kitchen area, air conditioning to both main lounge & bedroom, electric entry step, large King size bed to rear bedroom with further sleeping accommodation for a further 4 guests in lounge area, 2 internal flat screen TV’s with a further outside TV, hotel quality egyptian cotton towels & bedding all provided for your total comfort..